Zumbu Fitness 2 has just had its official box cover revealed and released showing a woman facing the opposite direction from that of the first game. Also, more screenshots! 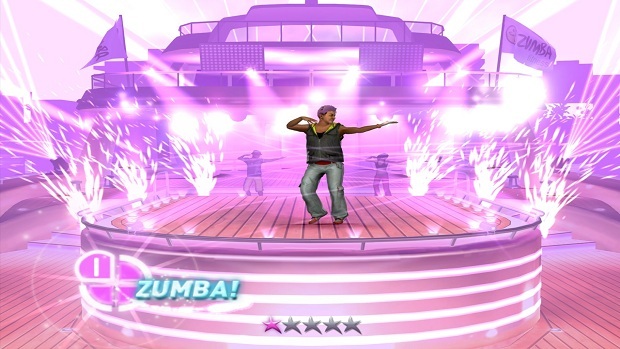 Thankfully, these new Zumbu Fitness 2 screenshots no longer contain people with stretched out E.T. hands and instead has... wait, is that guy on some sort of pink and purple cruise ship with more-or-less all of his hair covered in purple? Bu.. Majesco Entertainment, come on, you were so close here. What is going on over there?